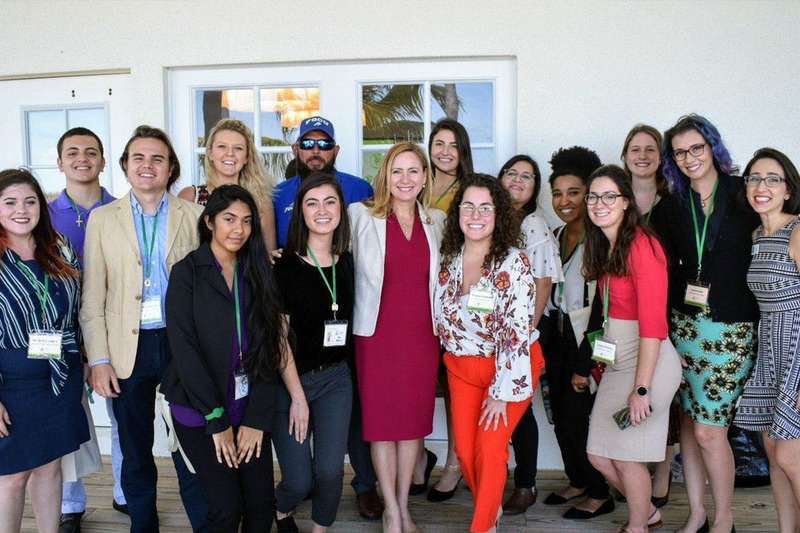 The students were assigned professional mentors and attended special meet-and-greets with former Florida Governor and U.S. Senator Bob Graham, as well as freshman Congresswoman Debbie Mucarsel-Powell. Decision-makers from federal, state, local and tribal governments, agency representatives, stakeholders and a vast array of public and private interests including scientists, educators, contractors, conservationists, the media, students, and the general public attend. The conference is the largest annual forum to advance Everglades conservation and restoration. The Everglades Coalition is an alliance of more than 60 local, state, and national conservation and environmental organizations dedicated to full restoration of the Greater Everglades Ecosystem.